I'm Shokz. A top 10 ranked Grandmaster player. I enjoy helping others get better at Starcraft! 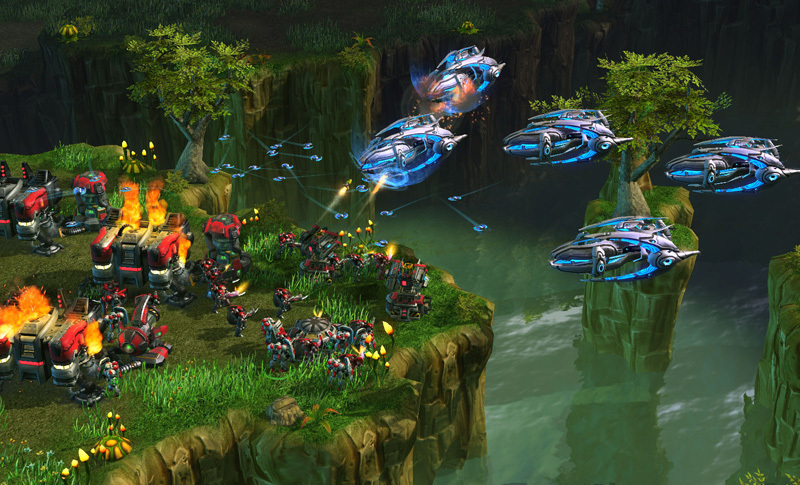 The Shokz Starcraft 2 Guide is your complete guide to mastering Starcraft 2 Heart of the Swarm. 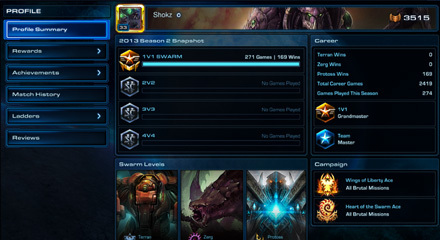 Climb your way up the Battle.net ladder by learning from me, top 10 ranked Grandmaster player- Shokz. My in-depth guide will teach you how to master the unique playstyle of each race, (Terran, Protoss, and Zerg), which strategic build-orders to use and why, effective scouting and early harassment techniques, tips to increase your APM and much more. We are adding new Heart of the Swarm guides and strategies every day. The Shokz Starcraft 2 Guide will teach you how to size up and shut down any opponent in any situation. The Shokz Guide demonstrates top strategies used by the pros so you can learn how to micro and macro like a Grandmaster player and earn your way to top ranked Masters. 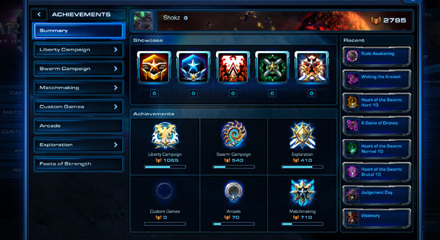 Along with showing you the ins-and-outs of all three races and professional-level Battle.net strategies, the Shokz Starcraft 2 Guide comes with a complete campaign walkthrough, featuring step-by-step instructions that will help you unlock single-player achievements and prepare you for Battle.net ladder. Playing Starcraft 2 learning the basics is a must to survive. 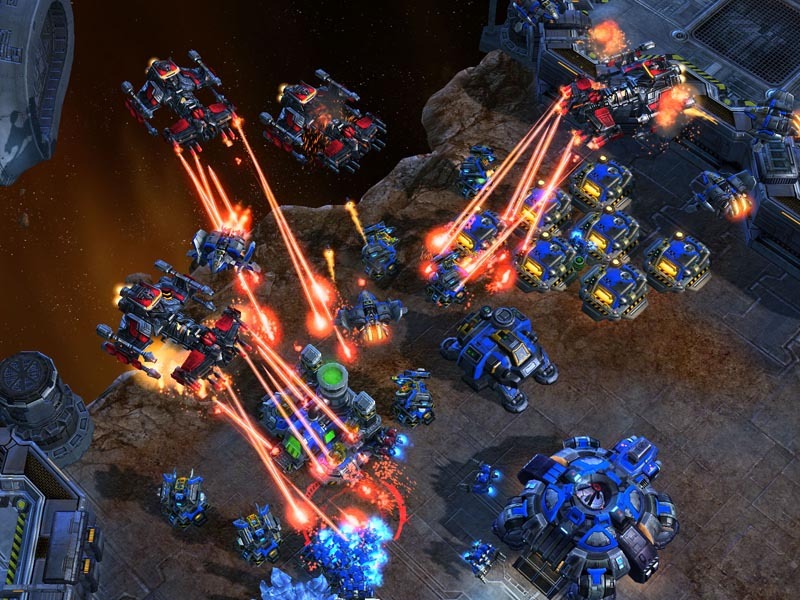 The Terran Guide will teach you the top strategies that diamond players use when it comes to build orders and how to build quickly and efficiently. 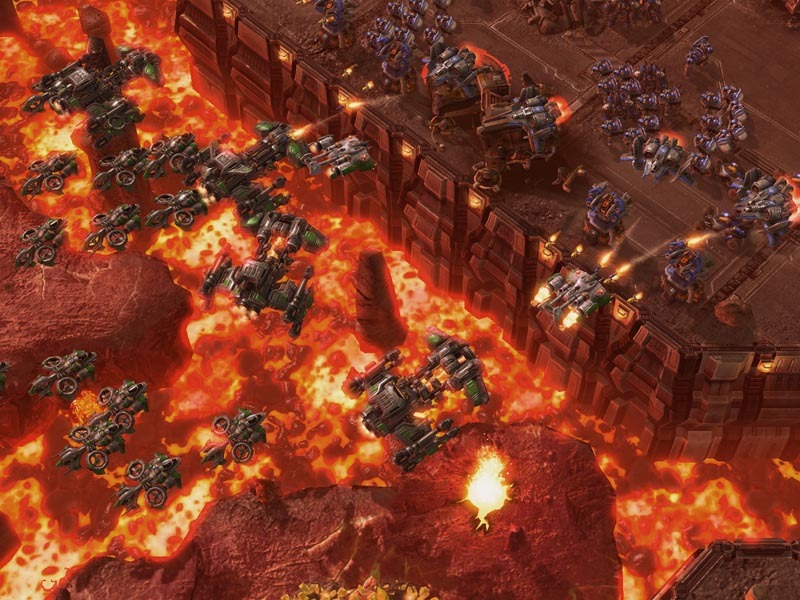 Knowing the right Terran strategies is essential whether you're playing against a quick-expanding Zerg, a 4 gating Protoss, or against your fellow Terran in a mirror-match. 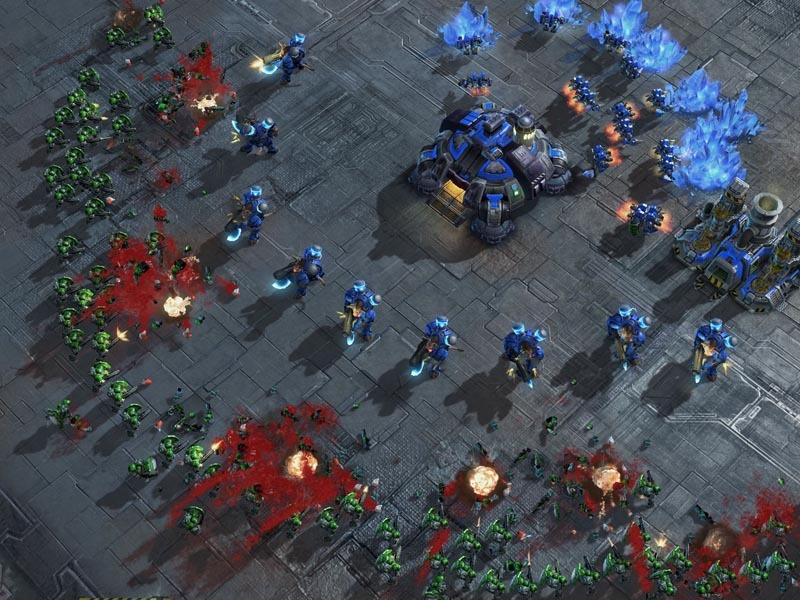 My Terran Guide teaches you Battle.net-tested Starcraft 2 strategies used by top Terran players so you'll be ready for whatever your opponent throws at you. Detailed videos covering the latest Heart of the Swarm builds and strategies. The Shokz Protoss Guide will teach you the top strategies while playing as Protoss to advance your skill enough to compete with Grandmaster level players. 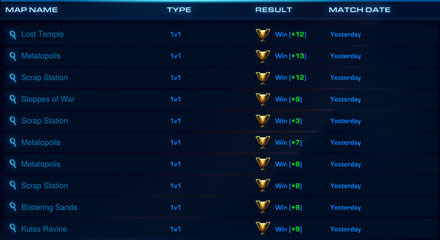 Learning how to use each unit in every situation is what will set you apart from other Protoss players. Combine a solid understanding of Protoss basics with correct micro and macro and your game will reach levels it's never been to before. It doesn't matter if you play 1v1 or 4v4 knowing how to counter each race will give you the advantage in any game. Learning how and when to scout will increase your chances of knowing what unit build to go to lead you to victory. Our Protoss build order guides will teach you the build orders used by Starcraft 2 Pros for the top strategies in the game. If you are going a Void Ray rush or just a standard opening build you will learn how to quickly and efficiently go use the top build orders to carry you to victory in each match. Protoss players have many abilities in their arsenal and knowing how to use all each effectively can mean the difference between a Win and a Loss. 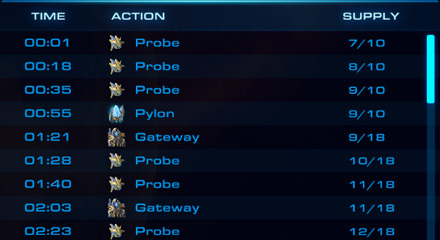 My Protoss guide will teach you every aspect of the race from pro builds to force fielding so you'll never be at a loss for an effective strategy. 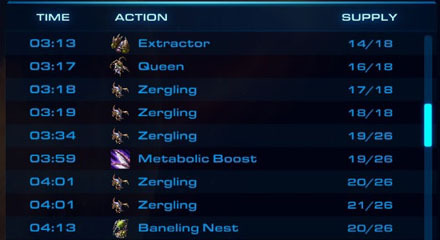 In order to master Zerg and macro like a Pro Starcraft 2 player you must learn the top Zerg build orders. Learn how to start each game and how to evolve into each strategy with the Build orders used by the Pros. Zerg is one of the more difficult races for players to learn, although once learned the Zerg can be the most powerful race in the game. The Zerg have a variety of ways to attack from quick Zerglings to the powerful Ultralisk knowing how to counter your opponent is key. As Zerg you control the Macro of the game, although knowing when to hit and what units to get in each game can determine the out come of every one of your games. The Zerg Guide teaches you how counter every build and the Zerg strategies used by pro Starcraft 2 players. Video guide covering the new Zerg unit, the Viper. We cover every unit teaching you their skills and how to use them in battle. 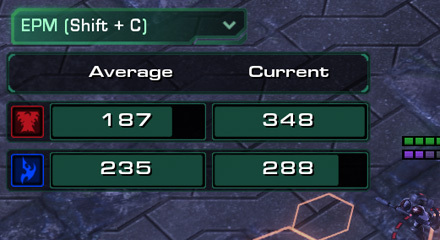 Playing with teammates online in Starcraft 2 is an entirely different experience then playing alone. You not only have to have think about what you are doing, but what your allies are up to, as well. Learning how to play and plan together and knowing what group-strategies work is essential in achieving an allied victory. The Shokz Starcraft 2 Multiplayer Guide will teach you how to optimize your play and integrate it seamlessly with your teammates efforts. Our in-depth unit guides break down each unit teaching you how and when to use each unit. Learn what each unit can counter and how to counter every unit in the game. Each unit guide teaches you strategies on how to use that unit when facing each race, along with the top pro strategies to use for every unit in the game. 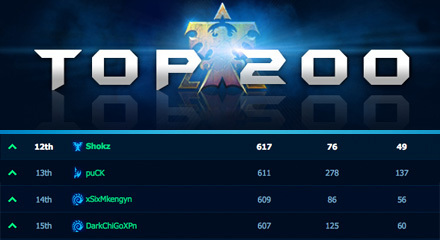 Reaching top-rank in the Starcraft 2 ladder is a serious undertaking and every player online is gunning for the #1 spot. The Shokz Starcraft 2 Guide will give you every trick in the book to help you improve your game and earn that coveted #1 rank spot with any race. 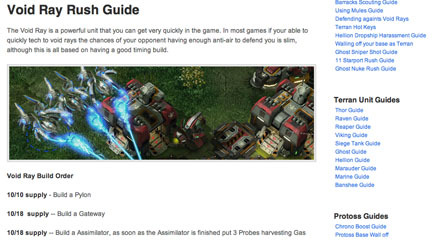 The Starcraft 2 Guide has an in depth walkthrough of the single player campaign. The guide provides step-by-step instructions for all 26 missions, with screenshots and videos as we guide you through the new HotS and WoL Campaigns. The Shokz Starcraft 2 Campaign guide has commentated video walkthroughs for each mission under Brutal difficulty, helping players achieve the elite status of beating the campaign under Brutal. Each mission under Brutal is laid out with detailed maps and videos explaining the best way to beat each mission and gain all the achievements. Legacy of the Void is the upcoming expansion for Starcraft 2, each will introduce a new campaign where you play as Protoss. All Shokz Guide members will receive access to FREE updates to the Legacy of the Void expansion campaign. 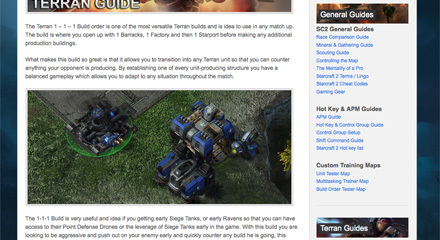 The Terran Guide provides game changing strategies to take your game to the next level. From early Marine Marauder push to Thors and Battleships you will learn how to react in every situation. The Protoss Guide will elevate your game, providing you the knowledge and skill to play against Battle.net's elite. 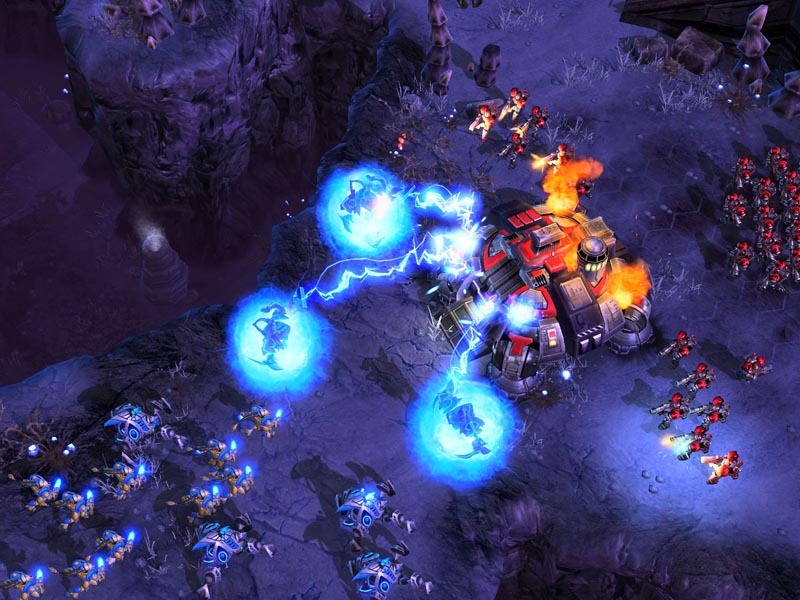 Learn how to attack and how to counter while playing Protoss. 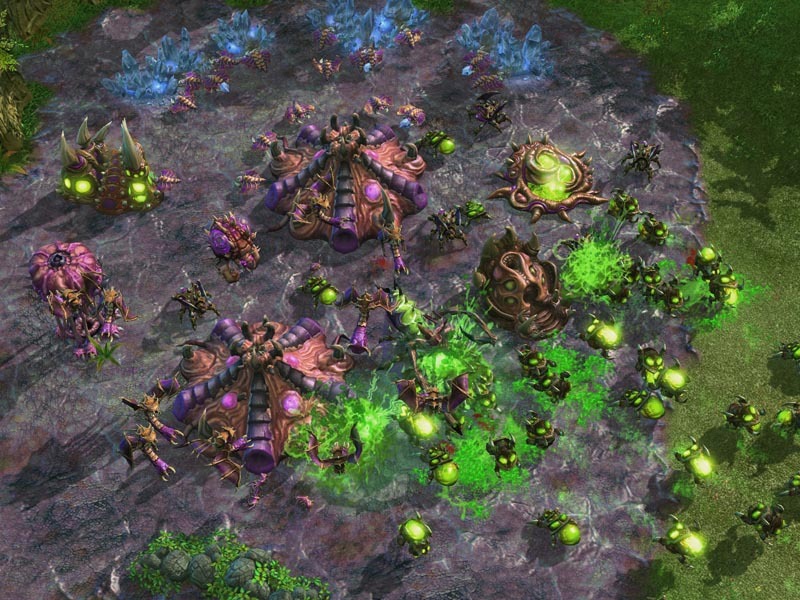 From Zergling rush to Mutalisks, the Zerg is a complex race which when mastered can be the most powerful in the game. The Zerg guide teaches you the top strategies and build orders to control the game as Zerg. Play through the campaign with our step-by-step campaign walkthrough. The Campaign guide walks you through the campaign from start to finish with in-depth detail and screenshots. 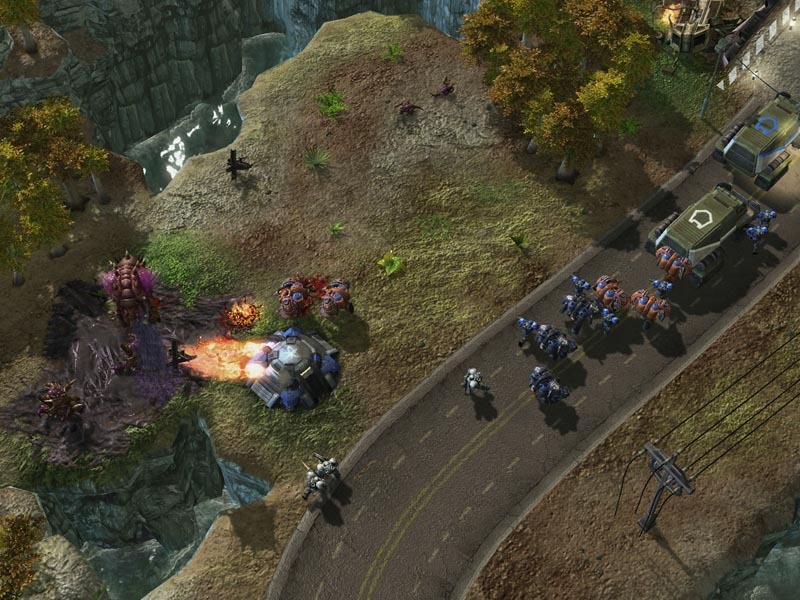 Starcraft 2 has the most advanced map editor Blizzard has made, providing you the ability to make some of the best custom maps around. Start creating simple to complex maps to enjoy online with friends. Many of our guides have detailed videos explaining the strategies and the mindset behind the guide. Watch and listen as Shokz breaks down the guide in a detailed video. I wasn't sure what to expect when I purchased your guide, but the quality is top notch. The videos and screenshots in the strategies help a lot. 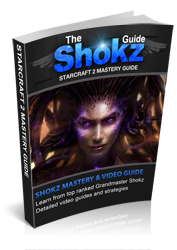 The Shokz Starcraft 2 Guide has set a new standard for guides with quality and content, making it the top Starcraft 2 guide available. 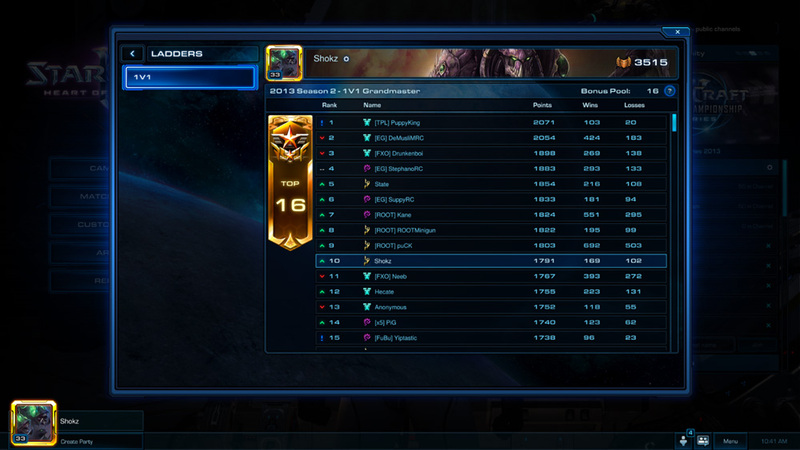 I've been using the Terran build orders and some strategies and yesterday I reached #1 in diamond. Just wanted to say "thanks" ..
Once you have purchased the guide you will then be able to log into our members area and access the Starcraft 2 Guide and all the member content. All members are able to come back at anytime and download any new updates to the guides for free. This is a one time fee, there are no monthly membership fees and you get access to our daily updates for life! Once you have paid for the guide you will be able to access the members area and download the Starcraft 2 Guide immediately. You will also be emailed your membership details so you may login to the members area and access all the member content at any time.